The library at Lettsom House contains an “heirloom” collection of older books, Lettsomiana and historical works relating to The Medical Society and its members. It is a reasonably wide-ranging collection containing several curious books. The Society’s collection of Lettsom publications take pride of place in the Library and other lettsomiana includes Lettsom’s thermometer and painting of the founder and his family. 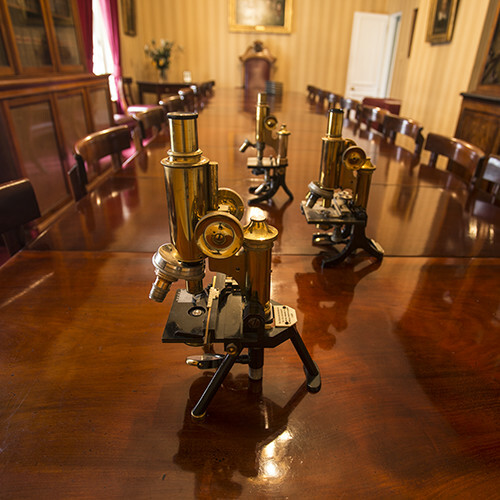 The Society also houses a fine collection of early microscopes. The collection was initially catalogued in 2003 and recently the cataloguing has continued.